It's unclear what exactly led to Guyger's firing — the statement does not mention the shooting itself but cites her actions when she was arrested three days later. A Dallas Police Department spokesperson declined to specify and pointed to the press release when questioned about what exactly led to Guyger's termination. Last week, Dallas Police Chief Renee Hall said at a town hall that she couldn't yet fire Guyger in the shooting because of "local, state and federal laws," but she did not elaborate on what those were, according to WFAA-TV. The station reported that the department's general orders allow for the chief to bypass formal disciplinary procedures if she "deems it necessary to preserve the integrity of the department." Hall also said she didn't want to compromise the criminal investigation, according to The News. One of Jean's family attorneys wrote on Facebook on Monday that Hall told Jean's parents and their attorneys Sunday that she intended to fire Guyger. Hall said the delay was because "a premature administrative suspension could have possibly implicated Guyger's fifth amendment protections and compromised the criminal prosecution," wrote attorney Lee Merritt. "The Jean family expressed satisfaction in this explanation and in Guyger’s termination," he wrote. "We see it as an initial victory— well received on the day Botham Jean is laid to rest in his native country in St. Lucia." In this case, however, Guyger's continued employment sparked protests in Dallas and became a flashpoint in the U.S. Senate race between Republican incumbent Ted Cruz and O'Rourke. 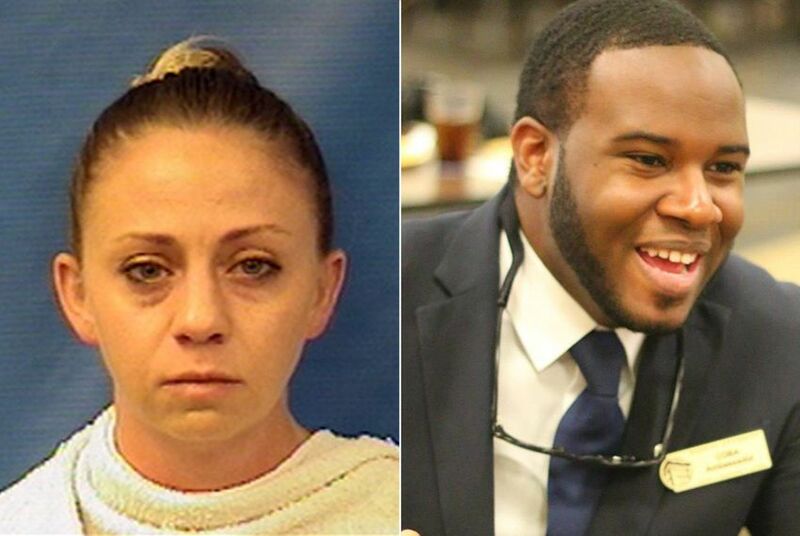 O'Rourke had expressed support for firing Guyger after the shooting, while Cruz had cautioned against a rush to judgment. The two clashed over the issue in their first debate Friday in Dallas. On Monday afternoon, Dallas Mayor Mike Rawlings issued a statement saying he agreed with the department's decision to fire Guyger. "The swift termination of any officer who engages in misconduct that leads to the loss of innocent life is essential if the Dallas Police Department is to gain and maintain the public trust," he said.